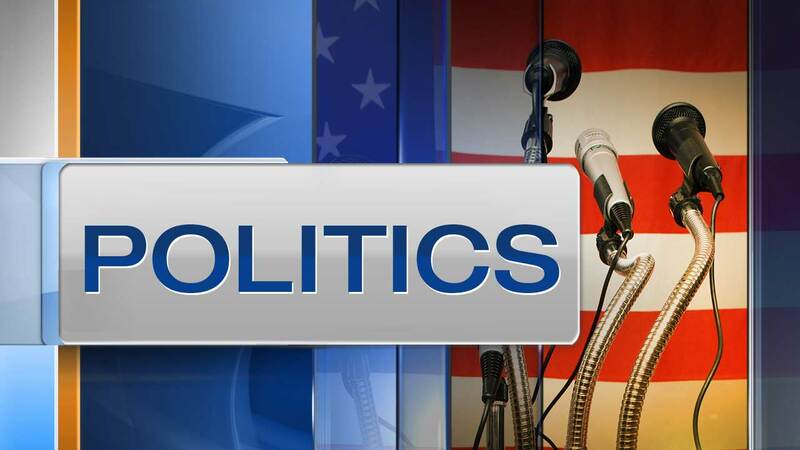 CHICAGO (WLS) -- A nationally known Democratic political operative is distancing himself from the Democratic National Committee amid allegations his firm planned to stir up trouble at campaign events for Donald Trump. Bob Creamer is the husband of Illinois Congresswoman Jan Schakowsky. Creamer and colleague Scott Foval were caught on undercover video talking about staging counter events. In the video, Foval explains how to pick fights with Trump supporters. The video was produced by James O'Keefe, a conservative activist who has been accused of doctoring video in the past. Creamer has released a statement saying, "We regret the unprofessional and careless hypothetical conversations that were captured on hidden cameras of a regional contractor for our firm, he is no longer working with us." In addition to Foval's departure, Creamer announced Wednesday he's stepping away from his work with the DNC so as not to distract from the election. "The practices described in the video by this temporary regional sub-contractor do not in any way comport with our long standing policies on organizing events, and those statements and sentiments do not represent the values that the Committee holds dear. We do not believe, or have any evidence to suggest, that the activities articulated in the video actually occurred. We have accepted the decision by Mobilize, an organization we contracted with in June 2016 and run by Bob Creamer, to step aside from its work with the DNC so that it is not a distraction three weeks before the election. The discredited source of these videos, James O'Keefe, is a convicted criminal with a history of doctoring video to advance his ideological agenda. We are in the process of conducting an internal investigation to determine whether he and his cohorts committed any illegal activities in this well-funded operation. We know this campaign will be won on the issues and solutions offered by the candidates and Hillary Clinton is the only person in this race with the experience and steadiness to bring people together and get real results." - DNC Interim Chair Donna Brazile. "There's a script. There's a script of engagement," Foval said in the video. "Sometimes the crazies bite and sometimes the crazies don't bite. The media will cover it no matter where it happens. The key is initiating the conflict by having leading conversations with people who are naturally psychotic. I mean, honestly, it is not hard to get some of these (obscenity) to pop off. It's a matter of showing up, to want to get into the rally, in a Planned Parenthood T-shirt, or Trump is a Nazi, you know. You can message to draw them out, and draw them to punch you." Creamer is part of a group called Democracy Partners, and he, too, was caught on undercover video. "Wherever Trump and Pence are gonna be, we have events, and we have a whole team across the country that does that," Creamer says on the video. "Both consultants and people from the Democratic party and the Democratic party apparatus and people from the campaign, the Clinton campaign, and my role in the campaign is to manage all that." Creamer told CNN his former contractors were committing barroom talk, insisting none of what is being described by foval ever actually happened. "While Project Veritas has been known to offer misleading video out of context, some of the language and tactics referenced in the video are troubling even as a theory or proposal never executed. We support the Democratic National Committee's appropriate action addressing this matter and look forward to continue waging a campaign of ideas worthy of our democratic process.